The Iowa Central men stand with their championship trophy. 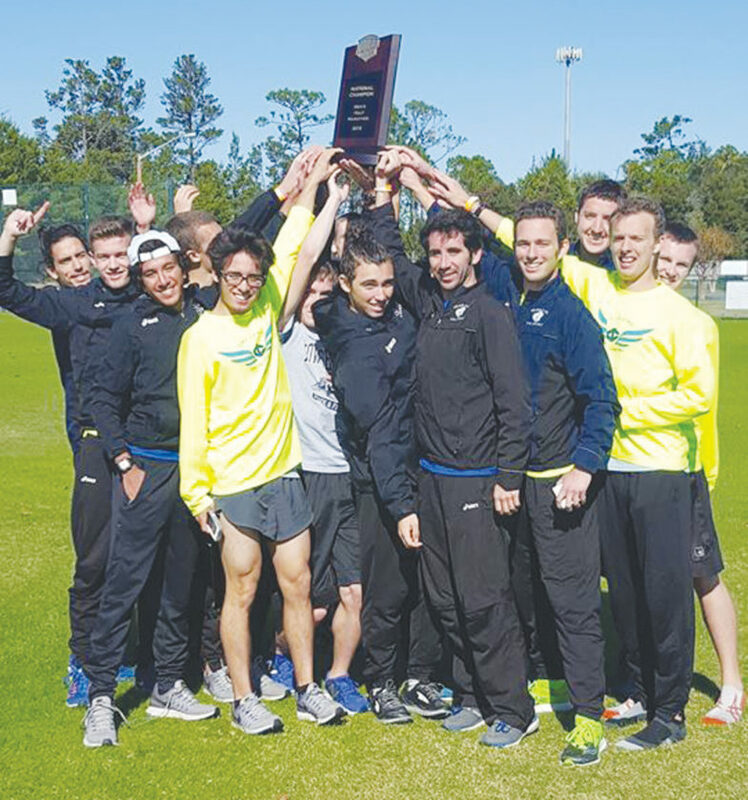 GULF SHORES, Ala. — It was another banner day for the Iowa Central cross country program at the NJCAA Half-Marathon National Championships. The Tritons brought home four national titles on Saturday. “We’re really excited,” said Iowa Central head coach Dee Brown. “We were extremely motivated after last week, because we felt like we should have done more. The Triton men brought home their fifth team title and the women earned their third. Iowa Central also broke their record of nine points with a perfect six points on the day. Leanne Pompeani went back-to-back as the women’s champion, earning eighth national title overall. Karim Achengli was the men’s winner, as the Tritons finished with a perfect score and had four All-Americans. The men tied South Plains for the most team titles. The Tritons won 2007, 2011-2013 and this season. Achengli’s title also gives Iowa Central the most individual crowns with six. Cody Baele finished second and Ashenafi Hatte was third. South Plains was second with 22 team points. Iowa Central’s Agnes Mansaray was fifth and Aaliyah Wajid was 10th. The Tritons ended up tying El Paso with 16 team points. “The women had a tough chore,” Brown said. “El Paso had two standouts, so we talked to the women and told them that it was going to come down to the No. 3 runner.